So For the First Time in Over Two Weeks….Coffee! So as some of you know I’ve been sick. Sick for weeks. I was sick before I went to Chicago but thought I was better. I wasn’t. I got worse on the flight back home. I thought I was better so I could go away with my husband on our big anniversary weekend (14 years!) and I wasn’t. And I didn’t even party that weekend. Made three cocktails and sipped them and threw them out. I slept half that weekend! I got home and I was worse. The doctor finally ordered me to take a week of bed rest and I am finally starting to feel human again. Just hoping I can go back to work and make it through the twelve hour shifts starting Thursday. Anyway…. I haven’t even desired coffee…not really. And for my faithful, I think you all know how much I love coffee. For those of you who don’t know….I love coffee! It just sounded so….strong. But this morning I made a pot of coffee (if you can call it that). It is only 20° outside and I just couldn’t take one more cup of tea. I think if I have another cup of tea I will transform into a tea bag. And it is so much more inconvenient than coffee. Coffee, I grind the beans, put it in the coffee maker and press a button and have cups of coffee for hours. With tea I have to wait until the water heats, wait until the bag seeps, and then I have only one cup of tea! If I drink it fast then I have to go through the whole process again. I found I have liked tea (and better than I remember-even found the chamomile delightful with a bit of spiced rum) but tea takes way too much effort, especially when I’m sick. I don’t find it the least bit comforting (to make). I need a hunk to be making it for me! But it is Gevalia (which for mass-produced coffee isn’t too bad) and it’s German Chocolate Cake-flavored and it has lots of sweetener and milk and it is preparing me to leap back into coffee land. And I am reading a good book (Stephen King’s new book, Revival, and omg it is amazing–reminds me for some reason of The Body / Stand By Me). And Sarah Jane is curled up next to me. AND last night I actually worked on a new novel which I think could turn out to be one of the best things I’ve ever written. So apparently I have passed through the dark tunnel and there was no train waiting for me on the other side, except to allow me to board aboard and take me to lands of lonely men finding love. So three more days! Three days of resting, reading, writing, and cuddling with Sarah Jane. Not bad at all, even if I have to wear pajamas (which I also don’t do but it has been oddly comforting). I could get used to this. Here is claiming the reality that in a year or so it will be my life. Writing full time and not being sick that is. So love and light to you all! I Am So Excited (and so nervous…)! 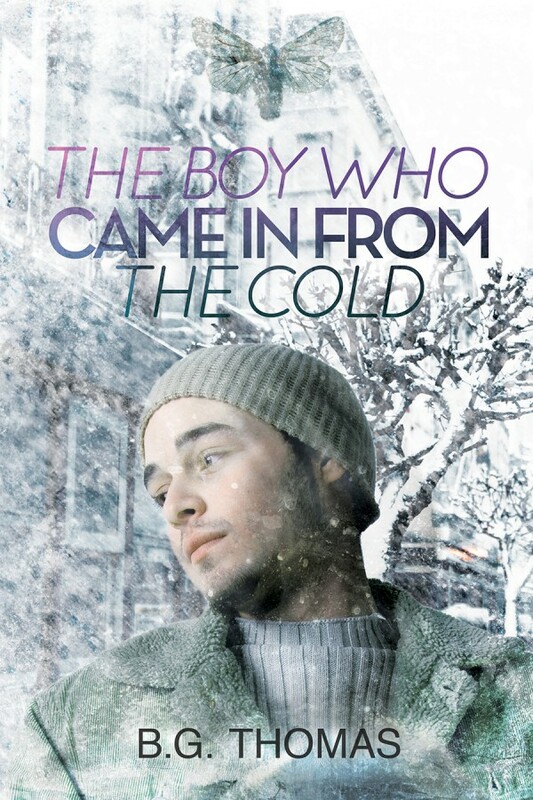 Also my new novel–The Boy Who Came In From the Cold–comes out today! Look At Me! Horseback Riding! So yesterday I had the most wonderful opportunity ~ and a simply terrific afternoon. My friends Julie and Mike had me out horseback riding! I wasn’t sure what I was going to get to do, but just meeting their horses would have been a treat and wonderful real-life research for my new story (which has no name). Julie told me she hoped I could ride her horse, and that Mike would lead me around. WELL! As it turned out I not only got to ride her and be led, but I was a pretty good student and Mike was able to take of the lead rope and step away and I rode Mystic all over that arena. She was incredibly responsive, zigging and zagging to my heart’s content. I learned SO much. This is going to be just brilliant for my new story, about a lonely widower who goes with his extended family to a dude ranch, the last place on Earth he ever thought he would want to spend his vacation. Boy, does he learn different. Mystic was a wonderful, wonderful horse, and stunningly beautiful. Look for Mystic in my story! I’ve already made some changes. She also inspired lots of stuff and a whole new chapter. Trying to write this story I realized I needed to at least go somewhere and see some horses and talk to owners about them. I did a whole lot more. I am just a lucky, lucky guy! Now if only it hadn’t snowed last night and this morning! I thought we were done with that! It is already 34° with a high of 41° later. Maybe it will go away and not hurt my miniature iris (tiny tiny flowers). It is supposed to be 71° by St Patrick’s Day (this Thursday)! Hey, at least it should keep me in and writing!